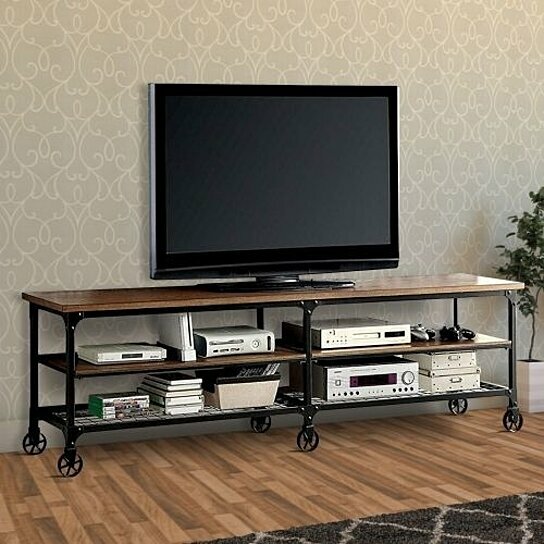 You can incorporate the industrial style of this TV stand in your interior efficiently. This stand features two adjacent wooden and two adjacent wire mesh shelves with a smooth wooden top of 30 mm thickness. This TV stand feature six caster wheels for easy relocation. This stand features a wooden top where you can keep TV unit and on shelves some decoratives or accessories can be kept.